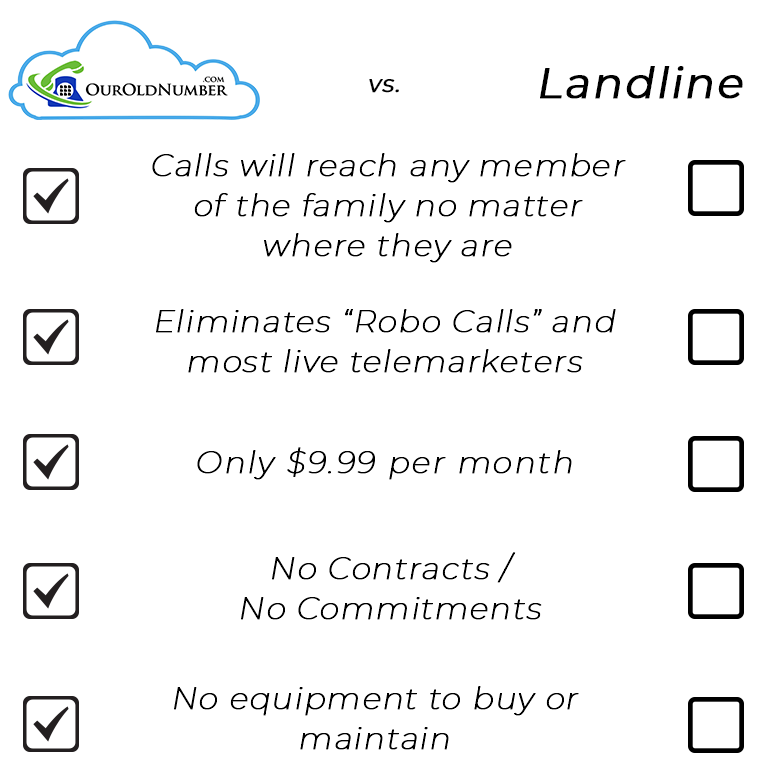 The ten dollars a month fee is less than what we were paying for the land line, so we also have some savings. Glad I made the move. Thank you. This service is unbelievable. I can’t believe everyone isn’t using it. Thank you. You guys/gals have awesome customer service! It’s refreshing. Your service has been just great. I’m a new customer and am very happy with your services thus far. I love your customer service. You’re great. OurOldNumber has worked perfectly. 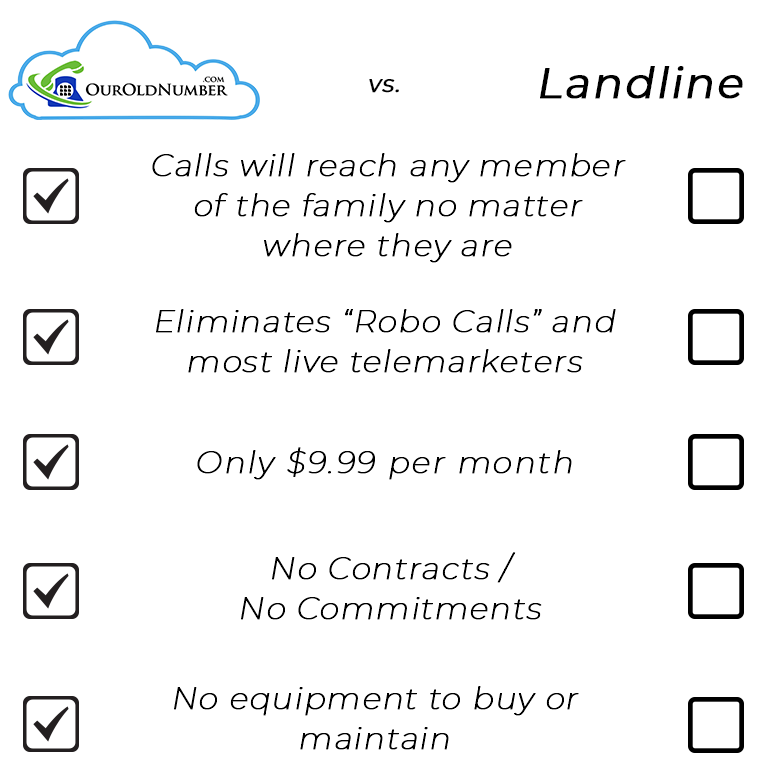 We were able to cancel our landline and save $27.00 per month. Friends call the house and they can reach any one of us, even our son away at college. I recommend this service to everyone. We are very happy to have found your service. You cover precisely what we are looking for: opportunity to keep our local number but not pay $42/month to do it. Thank you again for the fast and efficient service. What a miracle! We had put our dad in elder care and his biggest fear was missing calls to his old telephone number. Call our US based Customer Support Line for questions or to get started today! It's Fast & Easy to Get Started!